The V-Cone Flow Meter is an advanced differential pressure instrument, which is ideal for use with liquid, steam or gas media in rugged conditions where accuracy, low maintenance and cost are important. 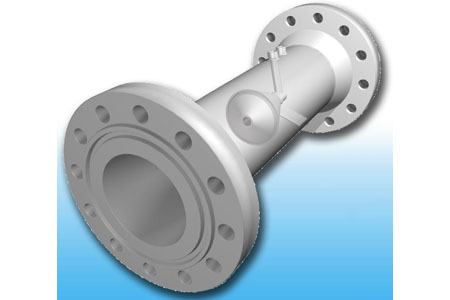 With its DP built-in flow conditioning design, the V-Cone is especially useful in tight-fit and retrofit installations in which the long runs of straight pipe required by Orifice Plates, Venturi Tubes, and other technologies are either impractical or unavailable. The V-Cone is designed for today’s most challenging oil / gas production, chemical, food & beverage, plastics, pharmaceuticals, district HVAC, textile, power and water & wastewater applications. The V-Cone is a better solution. It combines exceptional performance, low maintenance and long life for superior value.